Noah's Ark Historical Fact, Metaphor or Myth? Debate still rages whether the story of Noah's Ark is an historical event, a metaphor or just a myth. Read below to find out if remains of the Ark have really been found in Turkey, whether archaeological evidence proves the occurrence of a biblical flood. This lens will present evidence and viewpoints from both sides and also allow you to give your point of view. A devout Dutchman Johan Huibers has spent two years and a million euros rebuilding Noah's Ark after a dream that the Netherlands was suddenly submerged under water. 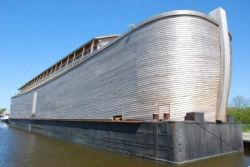 He has built a half-size working replica of Noah's Ark in Schagen, Netherlands---the ark is 150 cubits long, 30 cubits high and 20 cubits wide. That's two-thirds the length of a football field and as high as a three-story house. While the biblical boat was built from "gopher wood", the Dutch version is made from a mixture of American cedar and Norwegian pine over a steel hull. This will finally allow people to get some kind of realistic estimate of how many animals could be stored may be a bit short of the 87 millions species known today of course. There seems to be two schools of thought, one that Noah's Ark was really huge and could carry all the species and two that only kinds were brought on board. Noah chose young animals to save on food and space. Only Kinds were saved, eg one type of Elephant and all others evolved from this. Animals were dormant or in hibernation on board. Water was held in a canopy above the earth. Noah's Ark was huge as big as any ship constructed until the Titanic. There is much analysis about how this could be done without the benefit of a steel frame. Many cultures have a flood legend that cannot be a coincidence. 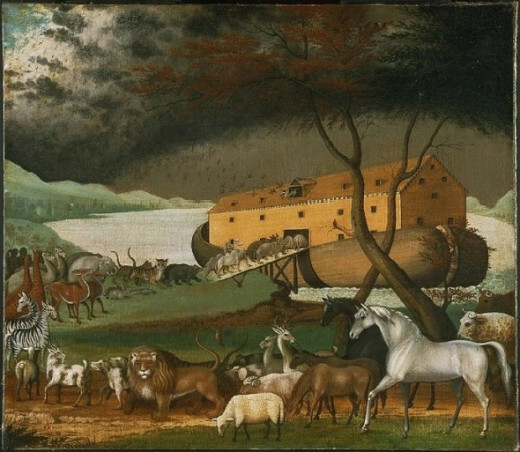 Scientific/Practical Objections to Noah's Ark - Could one boat hold all of the Earth's Animals? How did Animals Get from Australia? Where did all the Water Come from and Go To? The water covered every mountain, that is 5 miles high of water! Imagine 5 miles in your head. What About the Dinosaurs? The largest dinosaur would have pretty much filled the ark on its own. Egyptians have no record of a flood at that date. No evidence that post-flood humans are better. The number of fossils already found and the extrapolation of how many animals there once were (only a minute fraction of creatures are ever fossilized) is too great a number for them all to have been killed in the flood. Since everyone would have Noah as an ancestor, so Chinese, Africans,Eskimos etc have since evolved from this family, all the different languages would have to have developed in a very short time a few thousand years, this is much faster than is posited by the Theory of Evolution. When the animals were liberated from the Ark what did the carnivores live on without wiping out their normal prey? They would needed oxygen masks, it would have been very cold but of course with all those animals heat would not have been a problem. We know of 5 great extinctions events and not just one Noarchian catastrophe. Much of the plant life would have been swept away or covered in mud or just rotten. What would the animals have eaten. Is Noah's Ark Fact or Fiction? - Noah's Ark Fact , Metaphor or Myth? Vote on this hotly debated subject. Complicated calculations are made as to how many animals could be packed into an ark, how much food they would need , how much dung would be produced etc. Activists are now planning to build a full scale Noah's Ark which could help answer certain questions. Noah's Ark what do you believe? A GROUP of Chinese and Turkish evangelical explorers said Monday they believe they may have found Noah's Ark - four thousand meters up a mountain in Turkey. Normally evidence for Noahs Ark is confined to fuzzy photos but this video is very detailed of course it will be necessary to prove that it's not just a wooden building. Dr. Price, who is director of the Center for Judaic Studies at the conservative Liberty University in Lynchburg, Va., was the archaeologist on the Chinese-led team in 2008 when this alleged discovery was first made. He says he has "difficulties with a number of issues related to the evidence at hand." Price declined to elaborate. However, a leaked email from Price - which he confirms that he wrote - shows that he has reason to believe that a group of local Kurdish men trucked wood up to the mountain and staged an elaborate hoax for the Chinese team. I've been trying to get hard facts on this story but everyone is rehashing the same reports. A number of skeptical reports have emerged however, namely the planks seem to be in too good a condition, they piles of hay haven't even collapsed and apparently there are spiders webs to be seen. Anyway what is sure is that his story will run and run. I've looked at the video again and while much of it looks authentic at a certain moment they pick up some rope which doesn't fall to dust but looks like newish rope. Chinese Evangelists announce with %99.9% certitude the discovery of Noah's Ark and actually have video evidence plus samples. The video evidence clearly shows a wooden structure frozen in ice. This sensational news is headlined on Fox News and tours the Internet like wildfire. Surprisingly several Creationist groups are skeptical. Dr. Randall Price, head of Judaic Studies at Liberty University, had been a cohort of the Noah's Ark Ministries International team until two years ago. Claims that these wooden structures had been constructed by Kurdish workers and that the wood came from an ancient wooden building near the Black Sea. Dr. Randall Price announces that he is due to lead a rival expedition which knows the actual whereabouts of the Ark. I can find NO new report at all anywhere, what has happened to this story? Just been to http://www.noahsarksearch.net/eng/ that's Noah's Ark Ministries International Limited (NAMI) and they are still adamant that no one could have secretly carried so much wood that high never mind constructed the wood so deep in the ice. Further they claimed that Randall Price have had only passed 2 weeks with them and not actually climbed the mountain. My only criticism would be that there wasn't much information on the website, why only a few photos why not hundreds. No matter how hard I Google this discovery has just disappeared. Nobody talking about it all. 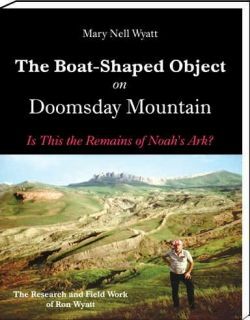 The story of the search for Noah's Ark on Mount Ararat by Ray Anderson, with Violet Cummings, Eryl Cummings, Lawrence Hewitt, Ed Davis, and Jim Irwin. A list of questions which the story of Noah's Ark and a global flood leave unanswered and probably unanswerable, such as: How did all the fish survive? and, When did granite batholiths form? Many cultures have flood legends, is it because they like us found fossils of what were plainly sea creatures high on mountain sides? If so not knowing anything about plate tectonics and that mountains were formed by colliding plates the only conclusion they could draw was there must have been a great flood high enough to cover the mountains. Noah's Ark is a bit difficult to explain as metaphor, what is the lesson for us to learn? It is also appears to imply that God is not infallible that he got things wrong. Many religious people find it hard to imagine that that all the pre-flood humans were evil even the children. There is also the odd story about Noah getting drunk and then banishing and punishing his son for uncovering his nakedness. On two occasions James led expeditions to Mount Ararat in Turkey in search of Noah's Ark. In 1982, he reached the 16,946-foot summit but fell on the glacier, suffering severe leg and face lacerations. He had to be carried down on horseback. A year later, he surveyed the summit by airplane, looking down for possible remains of the Ark, which according to the Book of Genesis, came to rest on the mountains of Ararat. "It's easier to walk on the moon," he said. "I've done all I possibly can, but the Ark continues to elude us." Ronald Eldon Wyatt was a self-described archaeologist (he had no qualifications or training and held no professional position in the field) and author who claimed to have discovered many significant biblical sites and artifacts. His claims are dismissed by scientists, historians, biblical scholars. He claimed to have found an Egyptian Chariot Wheel from the parting of the Red Sea, the Ark of the Covenant, the site of the Tower of Babel, the hole where Jesus's Cross was implanted but what really finally infuriated the religious community was his claim to have traces of Christ's blood. He knew it was Christ's blood because when it was analyzed there were only 50% of the normal chromosomes. Unfortunately as was usual with Ron's discoveries he was unable to provide any proof. This was usually explained to be a conspiracy by the Israeli government. * Moses' stone tablets containing the Ten Commandments, held together with golden hinges. This book on Noah's Ark is a one-of-a-kind compendium of information about animal-care methods, food-preservation techniques, animal-handling techniques, etc. It discusses in great detail how 8 people could have cared for 16,000 animals using pre-scientific technology. Whether or not the reader believes in the Bible or not, he or she can be fully confident that my book conveys substantive information about the workability of Noah's Ark and its inhabitants. This is the book that relaunched Creationism. It is a serious study of how all the world's animals could fit on a boat, be fed and cared for by eight people. Noah's Drunkenness - Noah was saved because he was the Only Good Man on Earth then he gets Drunk! After the flood Noah grew a vineyard, and he drank of the wine, and was drunken; and he was uncovered within his tent. And Ham, the father of Canaan, saw the disarray of his father, and told his two brethren without... And Noah awoke from his wine, and knew what his younger son had done unto him. And he said, Cursed be Canaan; a servant of servants shall he be unto his brethren. Durupinar is a ship shaped rock formation which is located 18.25 miles south of Mount Ararat at an altitude of 6,525 feet above sea level. Ron Wyatt had no formal training in archeology or in geology, which is a shame since Turkish geologists now believe that the Durupinar site is nothing but a geologic formation. 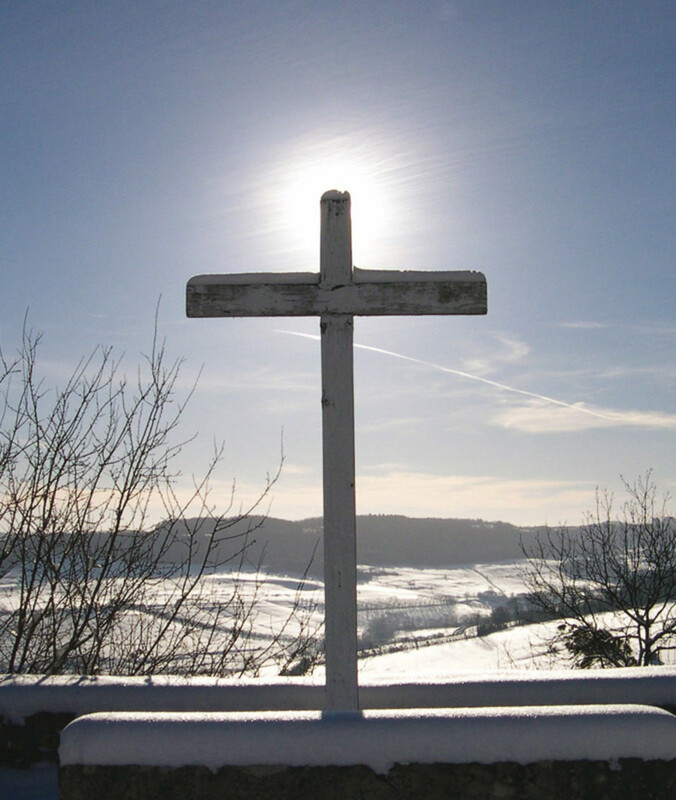 Seventh Day Adventist Ron Wyatt was a nurse anesthetist (a CRNA) from Madison, Tennessee, and "Indiana Jones"-type adventurer who was extremely charismatic but who also had a wild side. 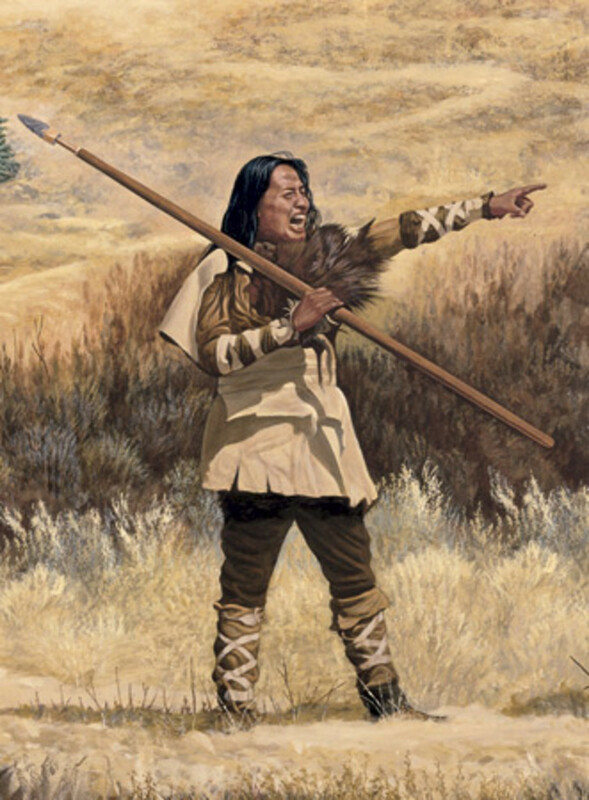 This wild side enabled Ron to interpret ferrite nodes as rusty bolts and brackets, to claim that he could see petrified timbers and so and so on. Did Other People Survive the Deluge? I am sure there is a passage of the Bible which mentions "Other people" or implies "Other people" survived the great flood, is that my imagination or does any one know the passage? Her name is unfortunately not mentioned in the Bible her children were Shem, Ham, and Japheth there is a Jewish tradition that her name was Na'amah. Noah's father was Lamech son of Methuselah. The 8 people on board are Noah and his three sons and their respective wives. Noah was 600 when he went into the Ark and 601 when it was all over, he died aged 950. Noah and his 3 sons and their 4 wives. 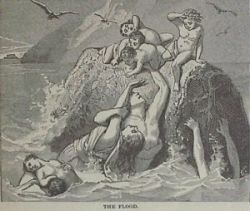 According to the King James Version of the Bible, the Flood was 1656 years after Creation, which according to Bishop Usher was 4004BC. This gives a date of 2348 BC. (as a point of reference this is roughly the start of the 6th Dynasty in Egypt). So 400 years or so after the flood the earth is already populated by Egyptians, Hittites, Canaanites,Chinese and so on this is not a very long period. the Ark's dimensions were at least 135 meters long (300 cubits), 22.5 meters wide (50 cubits), and 13.5 meters high (30 cubits). It was not until the 19th century that mankind constructed a larger ship. The ark includes a chapel where couples can marry. Evan Almighty is a modern-day Noah instructed by God to build an Ark. The film is a gentle comedy. Steve Carell plays the Noah character and Morgan Freeman plays God. The animal scenes caused this to be the most expensive comedy ever. This was originally a 3 episode mini-series for TV. The movie was heavily criticized for amongst other things introducing Lot anachronistically. 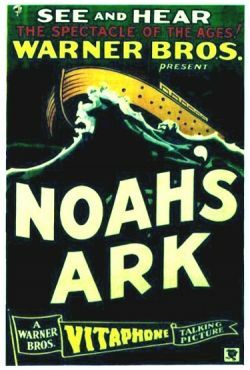 Noah's Ark is a 1928 American movie directed by Michael Curtiz and written by Darryl F. Zanuck. It starred George O'Brien and Dolores Costello. The film has the most realistic and moving flood scenes which have never been bettered. So real in fact that three extras drowned and Dolores Costello caught pneumonia. a young John Wayne played an extra. If you look at a World map you can see that Africa and South America would fit together. The fact they were together can be traced by the similarity of the geology and the type of fossils which are found where the continents previously touched. 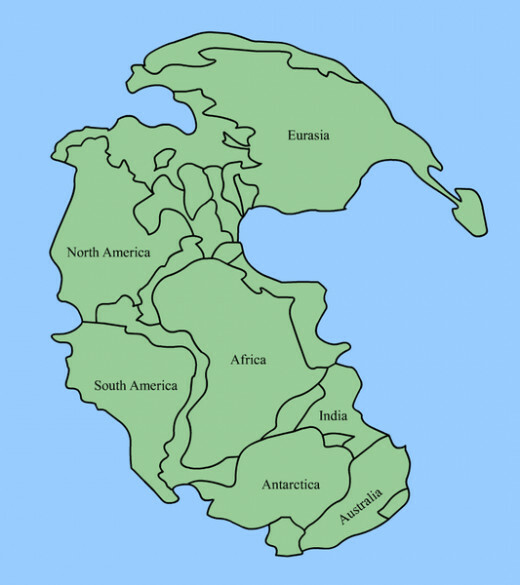 Continental drift and plate tectonics caused the break up of the super-continent. The single enormous ocean which surrounded Pangaea is known as Panthalassa. There were other super-continents before Pannotia and before that Rodinia. Noah's Ark is a rehabilitation center for animals and a group home for children from birth to 18 years old. The non-profit facility is home to over 1,000 animals and is licensed by the State of Georgia to provide residential care for up to 24 children. The wildlife from the rehabilitation center and the children from the Children's Care Home play a vital role for each other. The children participate in "pet therapy," nurturing the baby wildlife as the animals are rehabilitated in hopes of eventually being returned to their natural habitat. This is important because many of the children have been abused or abandoned and may have a hard time relating to people. They're able to learn to care for the animals that, in turn, are receiving much needed affection and attention. 2012 is the fatal date predicted by a number of cultures as the end of the world. It is an Apocalyptic Date for the Mayan Calendar. Their findings, published in Nature, show that the resulting flood could have filled the basin within two years. The team was led by Daniel Garcia-Castellanos from the Research Council of Spain (CSIC). A translation of a 3700 year old cuneiform tablet by a British Museum Expert Irving Finkel reveals that the original Noah's Ark was a Giant Round Craft made out of bitumen covered reeds. Noah's Ark it has been claimed was based on Babylonian Legends learned by Hebrews in Exile. 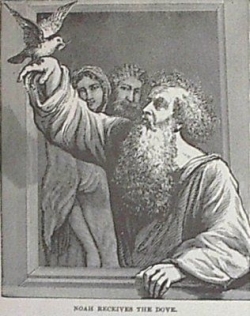 Atram-Hasis was the name of this King ordered by God to save his family from a flood by building an Ark. Everyone agrees that the Ark didn't like a ship need any navigational ability it just needed to stay afloat. The Tablet has been in private possession for many years. Once again the Bible and Bible stories are news. Arkologists produce complex theories about how big the Ark could have been quoting 522 railway box-cars, that instead of every species there were kinds, that animals were young, semi dormant, sometimes invoking that the fact that God could do anything he wanted. At this point skeptics ask why couldn't God have simply started again without such a complex mechanism. Whatever the case this debate won't end any time soon. If remains of the Ark can be found that will be sensational news and a stunning confirmation of the inerrancy of the Bible. Don't go away! Was a Dove or a Raven sent out. Did Noah sacrifice any of his animals. One version names Noah's sons. The two versions of Genesis are called the "Priestly" and "Yahwist" accounts where God is named either Elohim or YAHWEH. When did you first become interested in Noah's Ark? Admit it whatever your belief it is an intriguing story. Have you read any of the books, the feasibility studies? Two: According to the bible the Jews were called to be the "Chosen Race" who were distinct and separate from all others. If only Noah's' family survived, then again the whole human race is of Jewish descent, which contradicts the bible history, not just that but propagated from incestuous couplings of one family, which is genetically immoral and unbiblical.The first generation Noah's sons would be cousins, not good. Three; According to the NY Times there are estimates of 7.7 million species of animals. The idea the one ark could even a part of all the species is sheer imagination considering there is now more than 100 000 000 000 (billion) living animals on earth today. If you believed Jehovah used supernatural powers to make the animals come to the ark then there is no way to talk rationally about narrative..Using this logic anything is possible ,God could have simply let everybody except Noah and his family instead of filling all the worlds animals who did nothing wrong. @harper99: This is interesting where can I read more about this? noahs story was written by Jewish high rnaking leaders to admonish a way word group of jewish people, and based it on a man from ancient times who among the boat captians that ran animals a food up and down the rivers of the heart of civilization, At his prime three hurricanes hit his hometown and washed him out to sea and killed many people and almost all the animals. When he showed up again they though it was a mracle and thanked god for the all the love animals he brought back with him. The jewish priests turned this into a lesson for the wayward people who would be swept away to their death if they were not as good and generous as Noah was thought to be while he was alive. Those are the facts and the story we have now to inspire us for all time. I simultaneously believe it happened and have no idea how it happened. I've always been fascinated with this subject. You did a good job of presenting the various perspectives from which the issue can be examined. Which explains how the flood happened with supporting evidence to prove it. In my book I cover the Ark and bring out some details about it that every one else has missed, like did you know that the Arkâs draft is mentioned in the Bible? As far as I know, I am the only one to have come up with a workable theory on how the flood happened, and the only one to find evidence that proves his theory. I believe the story originally stemmed from fact, although the details have surely been changed over time. Always thought the discovery on the mountaintop in Turkey was fascinating (ever since I watched it in on the Discovery Channel or History Channel way back when). Plus there is so much info that has been passed down through the ages about a great flood, including the stories about submerged continents. I was going to write a lens on this myself but you have all the info right here. Excellent lens! Like the lense! Great work. I believe that a flood happened. I believe that a boat was built. However, I don't think it was the whole world, but rather their whole world. 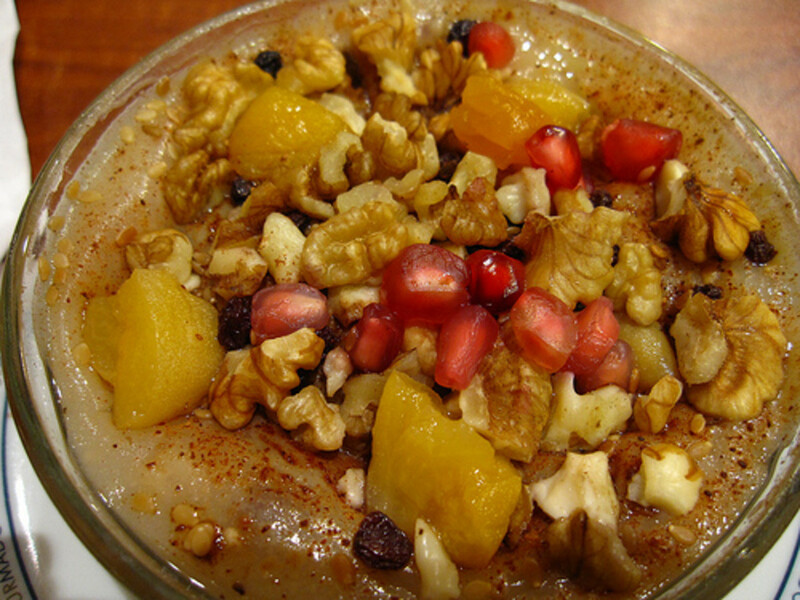 Remember a person did not stray far from home during their life. A flood that covered a large area in the middle east would be enough to seem like the whole world to them. As such, only the animals in that land would need to be included. @goldenecho: It's just an explanation of where a mile high volume of water covering the whole earth could have come from.People often want to prove that Noah's Ark was scientifically possible rather than settling for the simpler well God made it happen. I'm not sure why number 4 ( Water was held in a canopy above the earth ) would be considered an explanation of how they saved the animals. It seems out of place in the "Religious Explanations for How They Saved all the Animals" list, as it's generally an explanation of the flood, but not an explanation of how the animals were saved. Maybe something that should go somewhere else? @compugraphd: It is tough to be specific, researchers argue what the translation of this word or that word means. It says, BTW, the MOUNTAINS of Ararat -- I think the issue with the Chinese expedition was that they went to MOUNT (singular) Ararat. Who named it that? I think it's in a totally different area of the world..... Maybe one day some evidence will be found (or previous evidence will be reevaluated). Have you seen the ark replica being built by the man in the Netherlands? Very cool. The Mayans said 2012 end will be like the great flood of Noah, with the gravitational shift to cause great tsunamis all over the world. If anyone is still in doubt, I suggest reading Mark 4:12. Better yet I'll read it for you. I enjoyed your lens, great photos and lots of information. Cute Ark gifts you have on here. I welcome all to come visit myNoah's Ark Found lens. 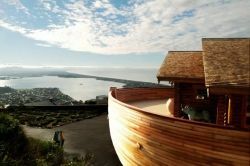 Isn't that Noah's Ark Replica just the coolest! God Bless and 5 stars! Its mentioned in both the Bible &amp; Quran that the Ark will be left for people to see, and witness. Just have faith...its simple! Even the place where it will be found is in both books. I agree with you. God can't lie. And He is an amazing God, seeing all the wonders of everything from the smallest details on this earth up to those still unknown things out there. As a Christian I believe God's Word as the truth. God can't lie. God is almighty and nothing is impossible with him. As with Jona, who was in a fish for three days and the sun that stood still on Joshua's request. With the Almigthy God who created everything from nothing, nothing is impossible. 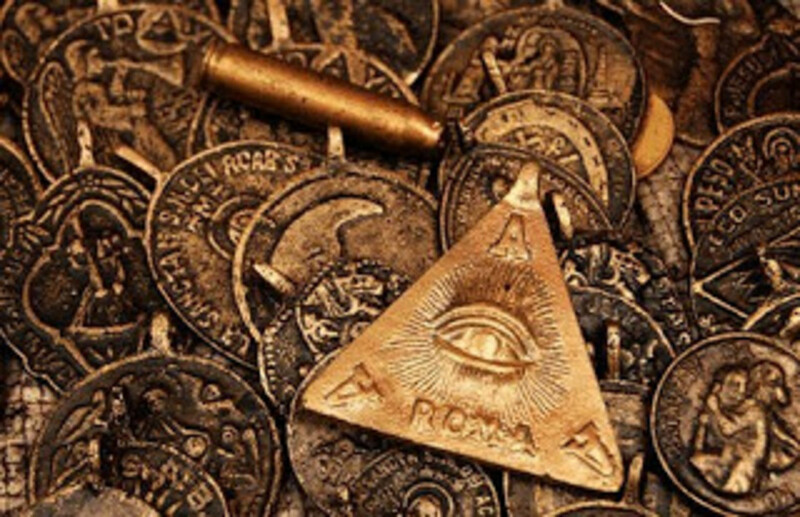 Wake up and smell the allegory people! I myself probably do not even exist - So stop referring to me as a fact please!